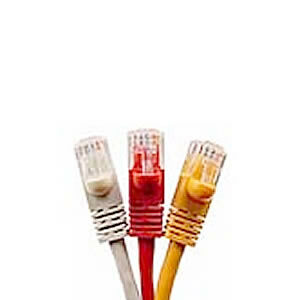 Our 350MHz Cat5e crossover cables provide a great way to connect 2 PC's together or uplink hubs. Made from 24AWG stranded cable with a PVC jacket and molded boots. Made from 24AWG stranded category 5 cable with a PVC jacket. These cables comply with EIA/TIA specifications and are UL rated.